Osteopathy is a system of diagnosis and treatment, which works with the structure and function of the body. For osteopaths, it is extremely important for the body to be physically balanced in order to function optimally. Problems with the musculoskeletal framework of the body can affect the circulatory, lymphatic and neuronal pathways to any part of the body and therefore can possibly affect any aspect of health. Osteopaths find health within the individual, they look to resolve dysfunctions within the structure, bringing the body back to a balanced state. Inside the skull, there is a covering over the brain, spinal cord and sacrum called the dura. The dura acts to protect the central nervous system. The central nervous system controls the functioning of every organ, nerve and muscle in the body. Cranial osteopathy is a systematic approach to patient diagnosis and treatment utilising the body’s own inherent wave impulse emanating from the central nervous system and the cerebrospinal fluid. Cranial osteopathy is very gentle, yet an extremely effective approach to osteopathy and can be used in a wide variety of conditions for people of all ages from birth right up to old age. Osteopathy goes back as far as 1874, where it was invented by a medical doctor called Andrew Taylor Still in Kirksville USA. He was living at a time of war and disease outbreak, where orthodox medicine was poor and conventional medicines were not around. He had a wife and 6 children, two which died in early infancy. His first wife died in 1859, where he re-married his second wife in 1860 and shortly after joined the fight against slavery and became a hospital steward, by enlisting in the union army and joined the 9th Kansas Cavalry and later transferred to the 21st Kansas Milita, where he was given rank of major. In 1864, he returned home to his family disgusted by the killings of war, where he found 3 of his children from his first marriage had died of spinal meningitis. He also became disillusioned by the medical establishment where he was studying at the time and left without obtaining his dipolma. Dr. Still proved he could restore health by treating the body with his hands. 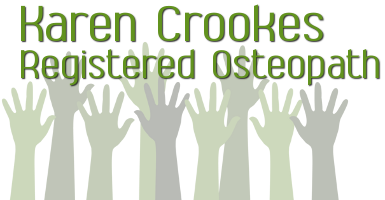 He decided to re-establish his own medical practice, where he used a system of manipulation and spinal reflexes which he used to treat all types of conditions…successfully and therefore osteopathy was invented. function in harmonious motion together. In the late 1800’s, there was no life-saving miracle drugs around as there are today, such as antibiotics. Dr. Still looked into nature and the bodies own healing abilities, where given the right circumstances has the ability to self-correct and heal.